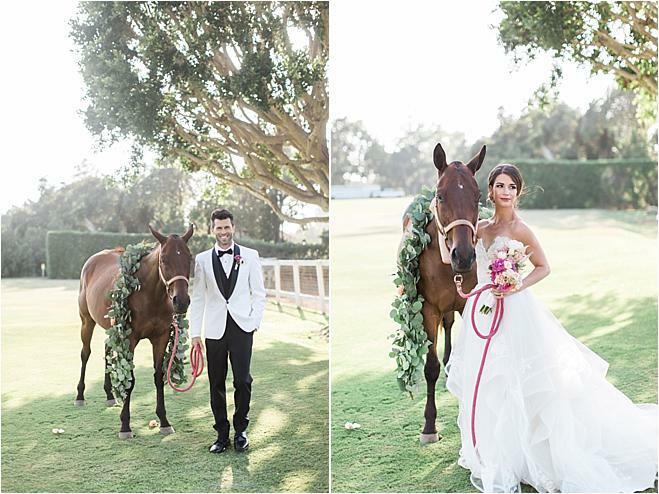 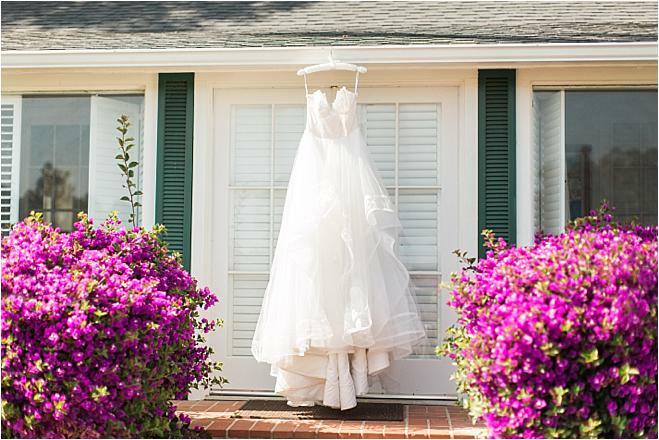 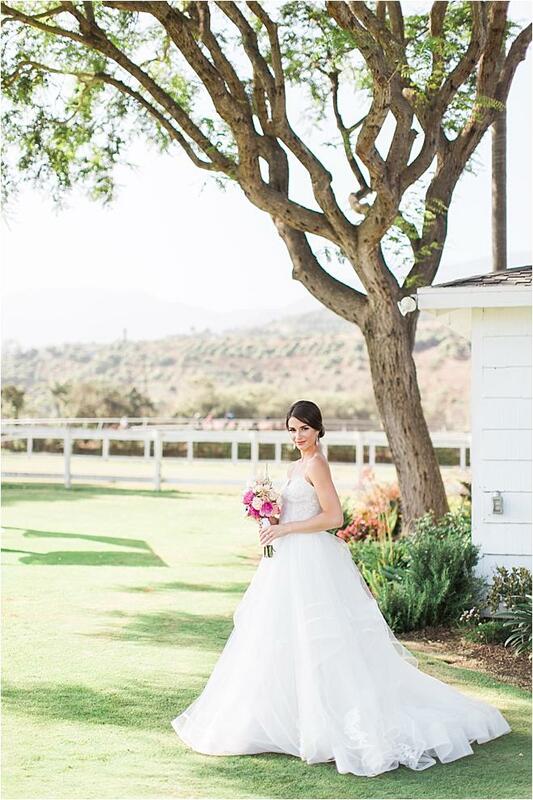 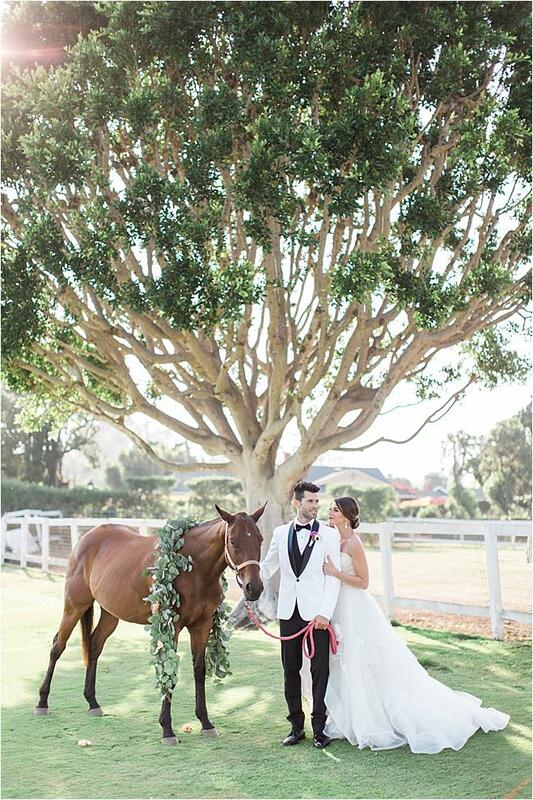 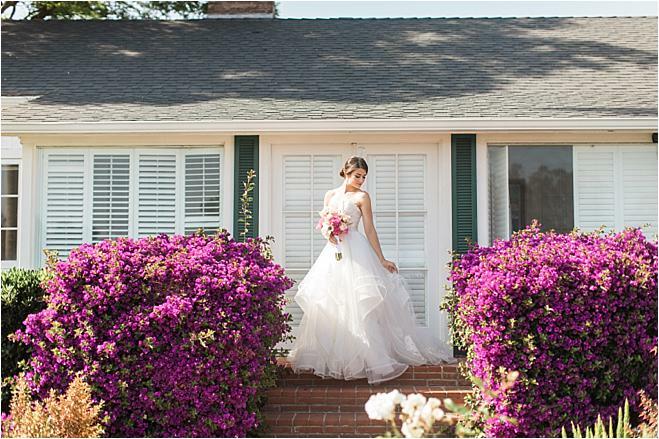 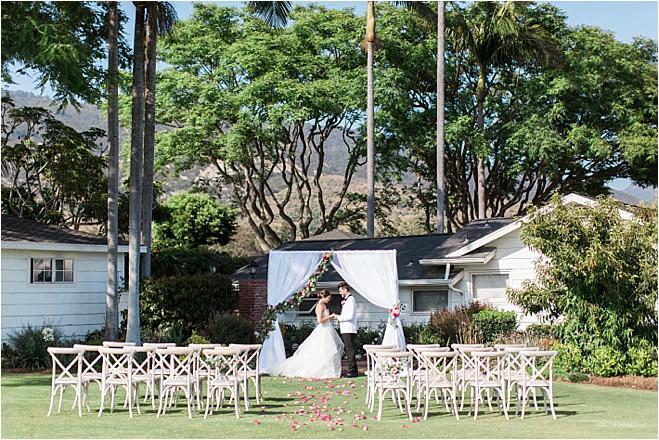 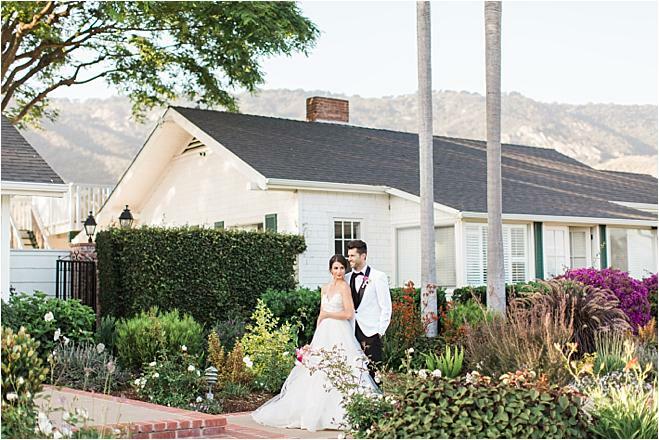 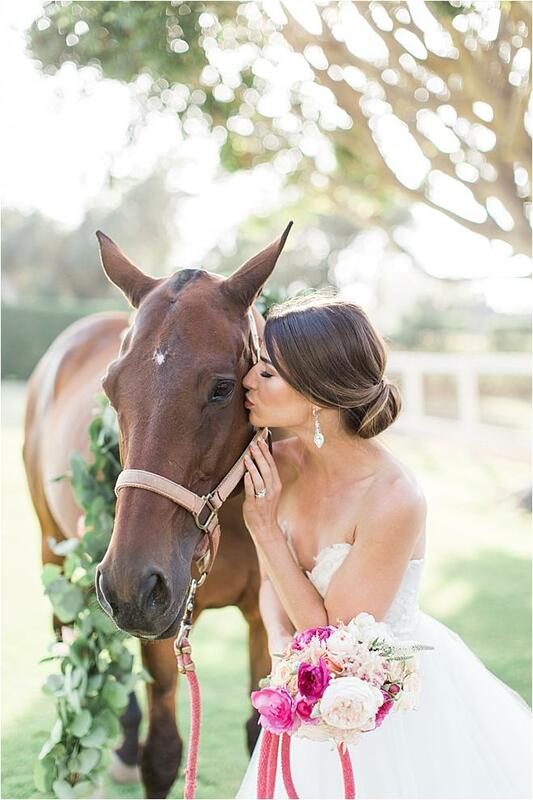 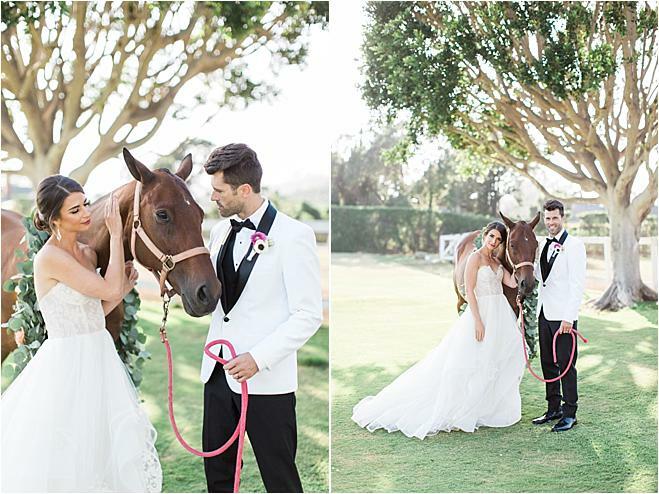 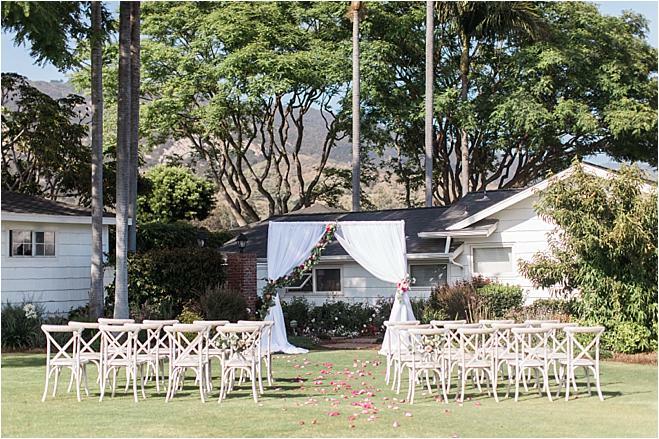 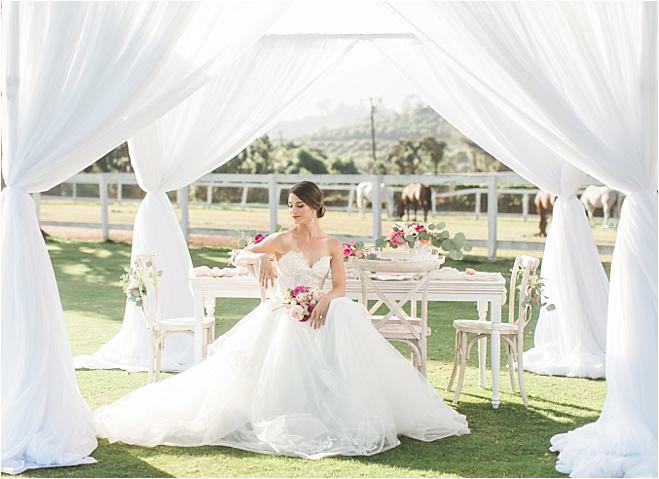 The Cottages at Polo Run rest among beautiful bougainvillea, roses, trees and incredible mountain views, making for a beautiful wedding site right beside the Santa Barbara Polo & Racquet Club. 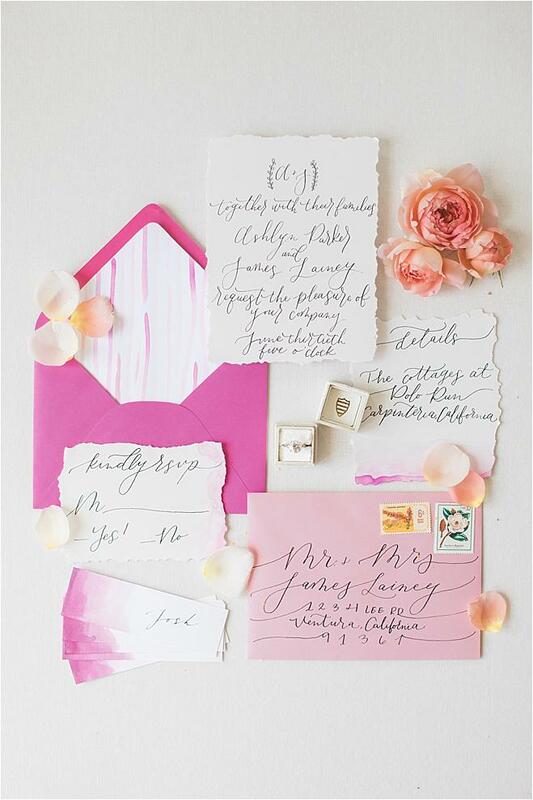 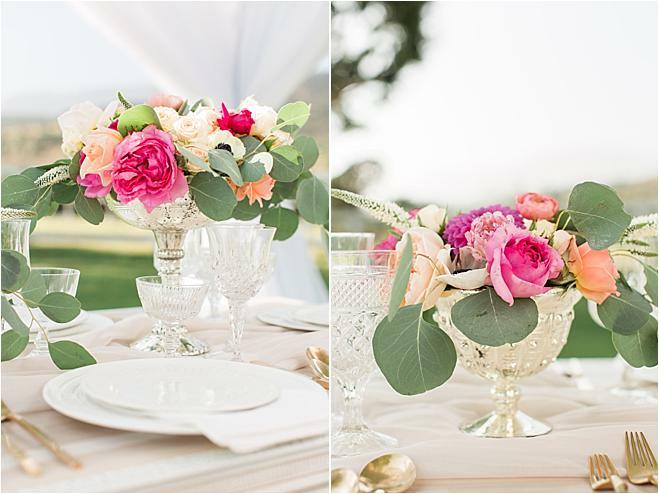 A bright invitation suite showcased the prettiest hues of pink and romantic calligraphy, setting the mood for a lovely styled shoot at the gorgeous Cottages at Polo Run beautifully photographed by Jenny Quicksall. 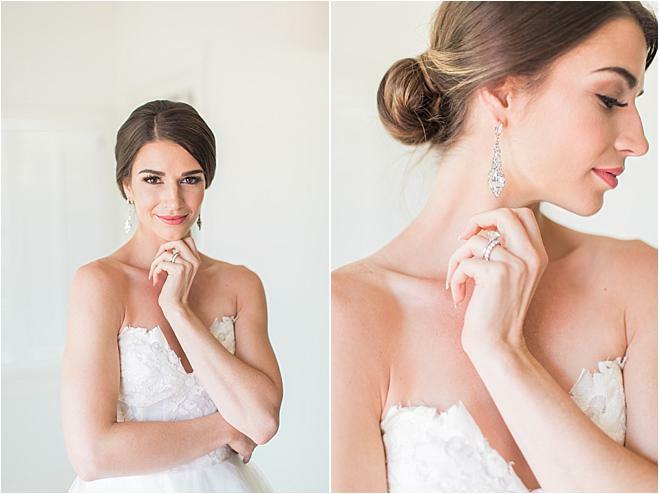 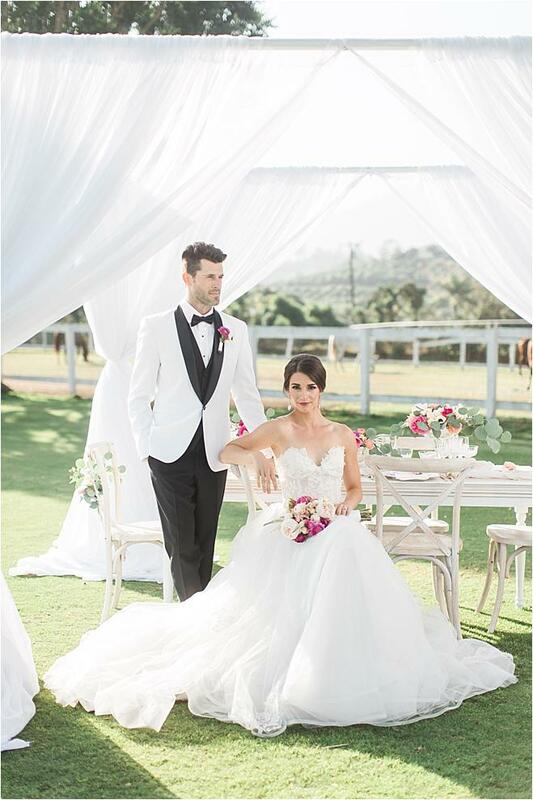 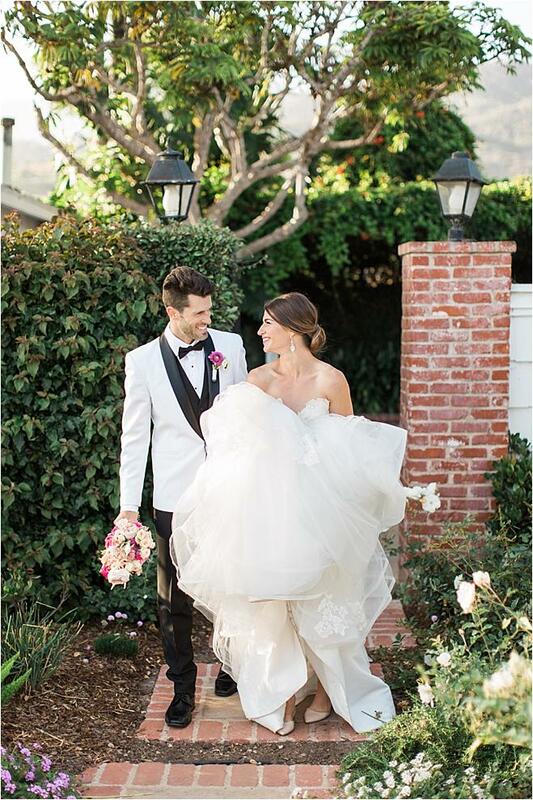 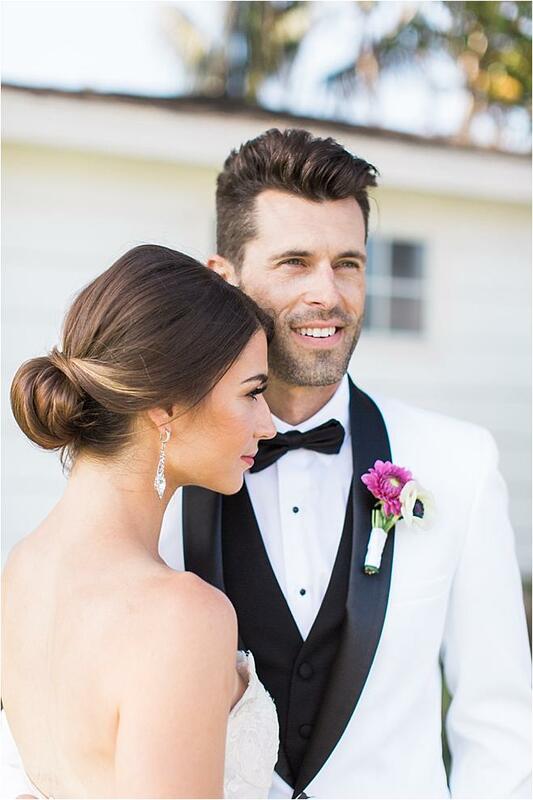 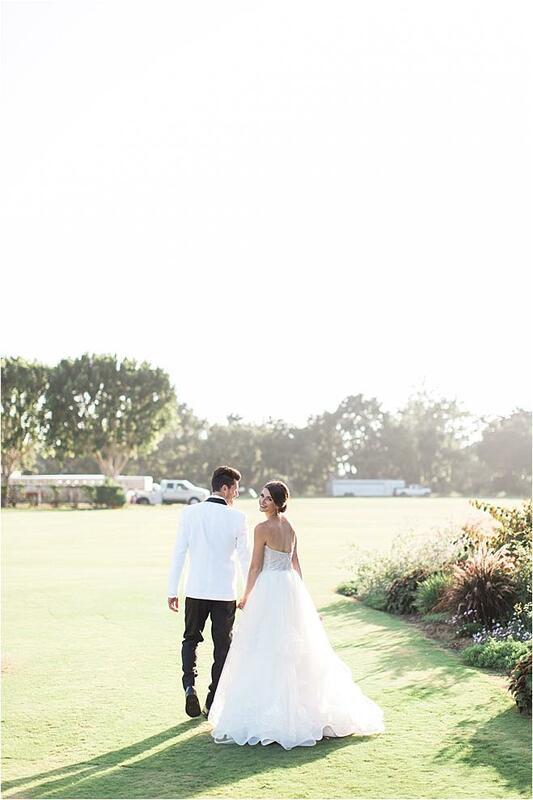 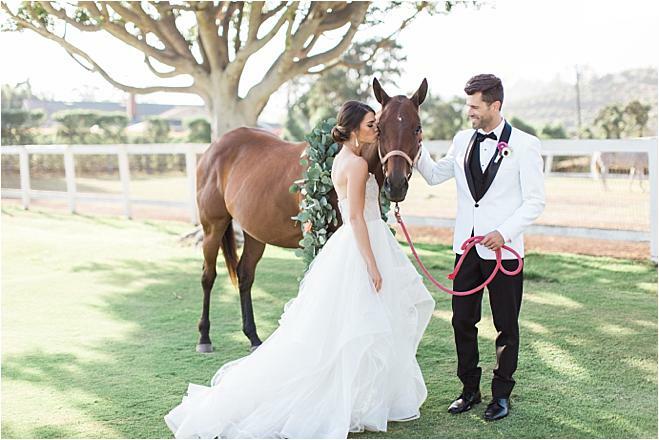 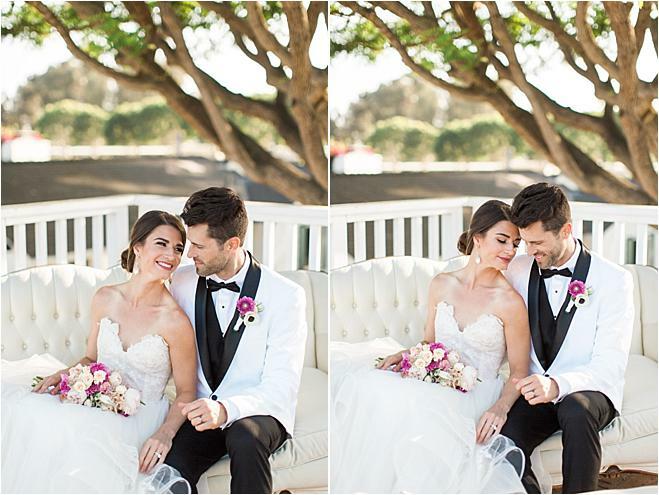 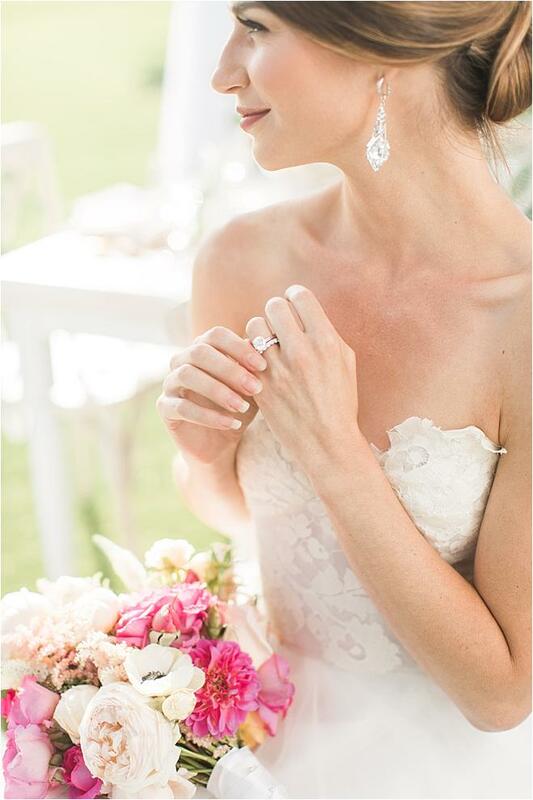 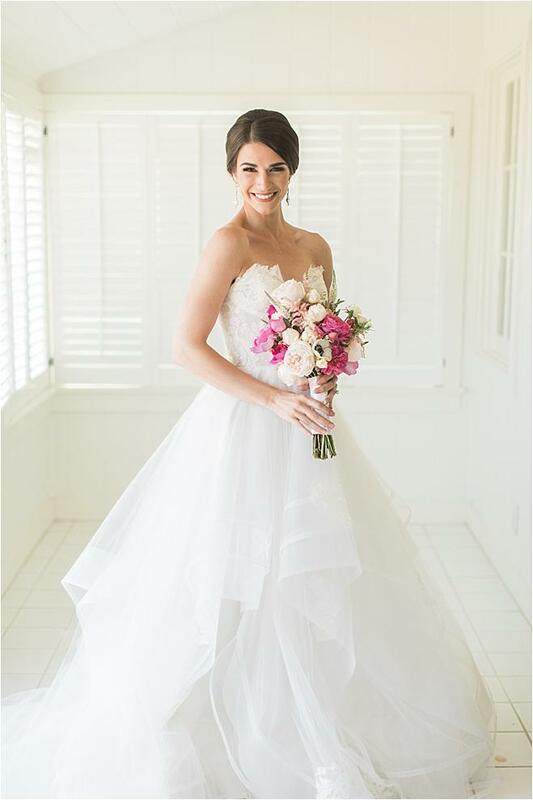 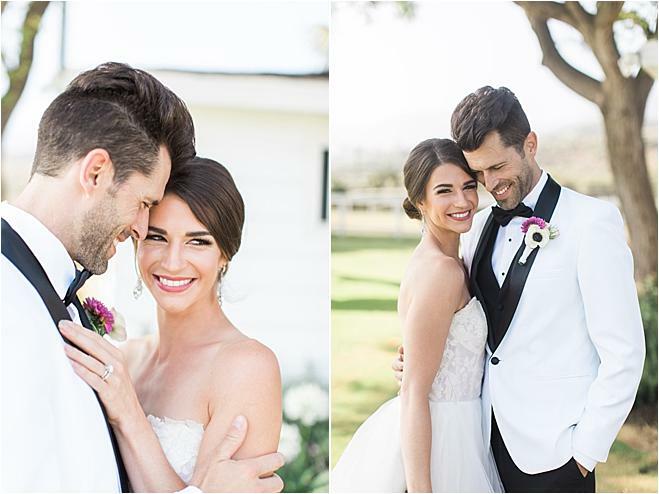 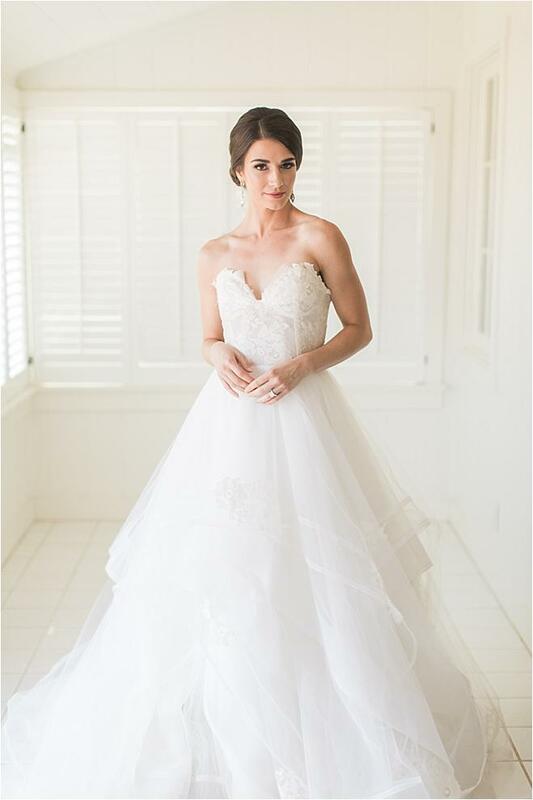 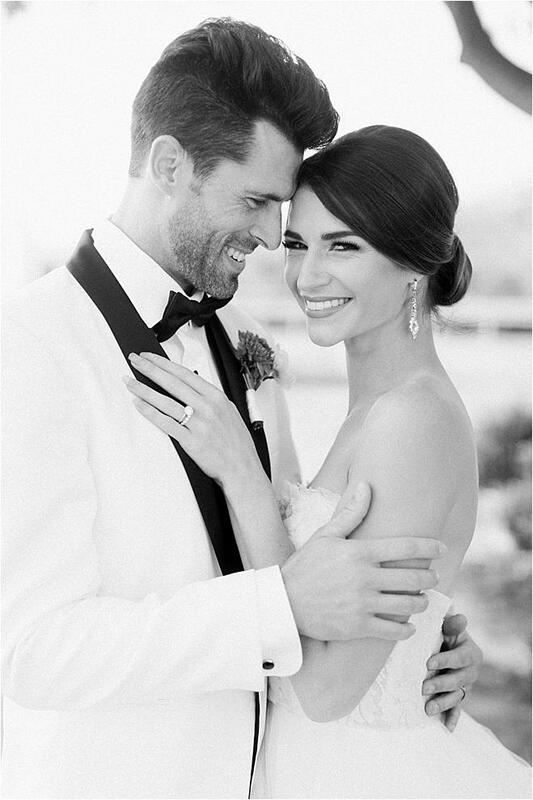 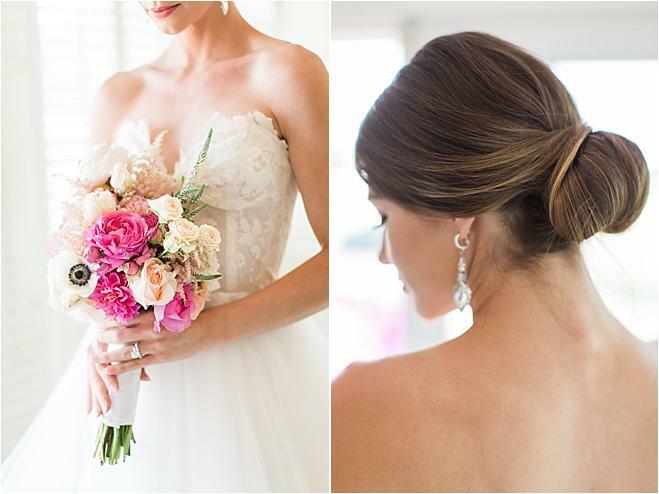 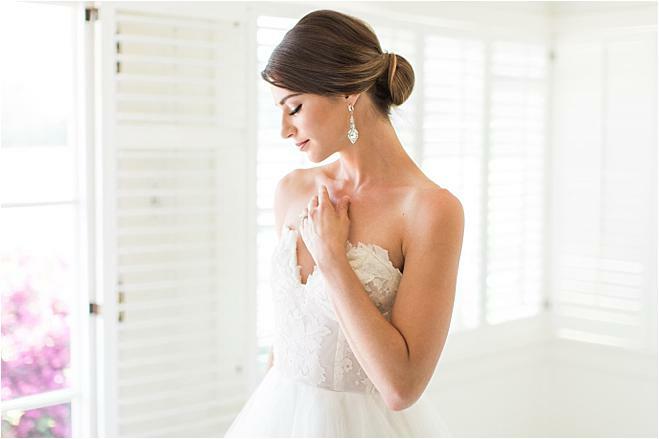 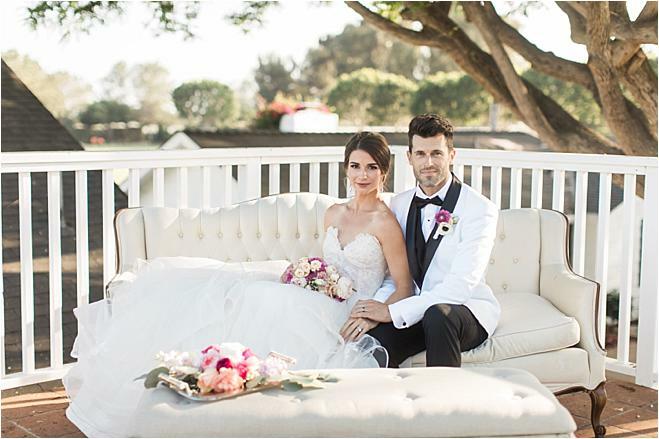 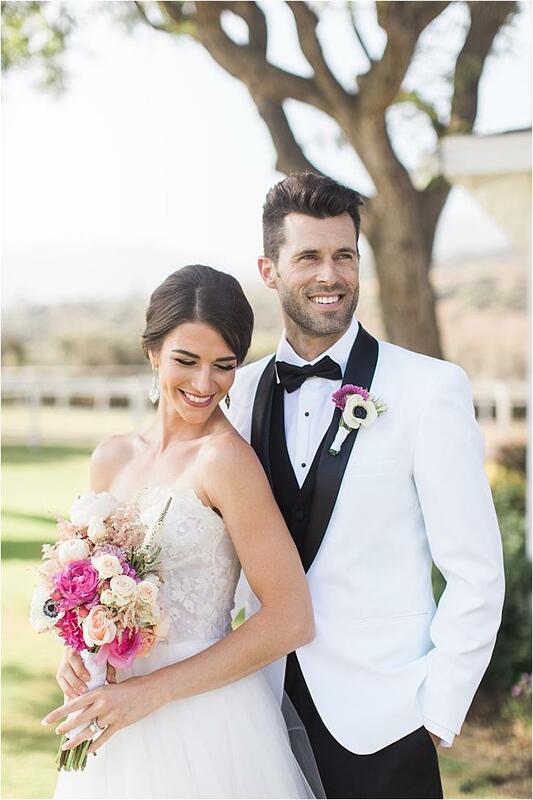 A stunning Hayley Paige wedding gown from JLM Boutique highlighted a lacy sweetheart neckline, while fresh hair and makeup by Cheek to Cheek Artistry and sophisticated earrings from Maria Elena perfectly complemented the look. 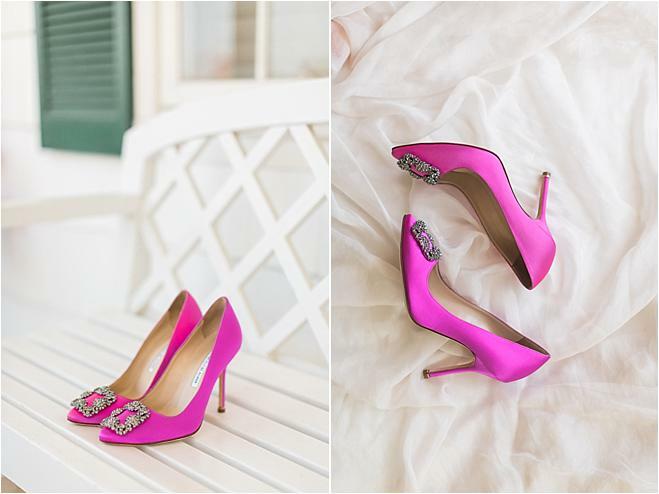 Hot pink heels with unique bling detailing from Manolo Blahnik added a hint of glam and fun to the shoot while seamlessly matching both the venue and the design by Jane Alexandra Events. 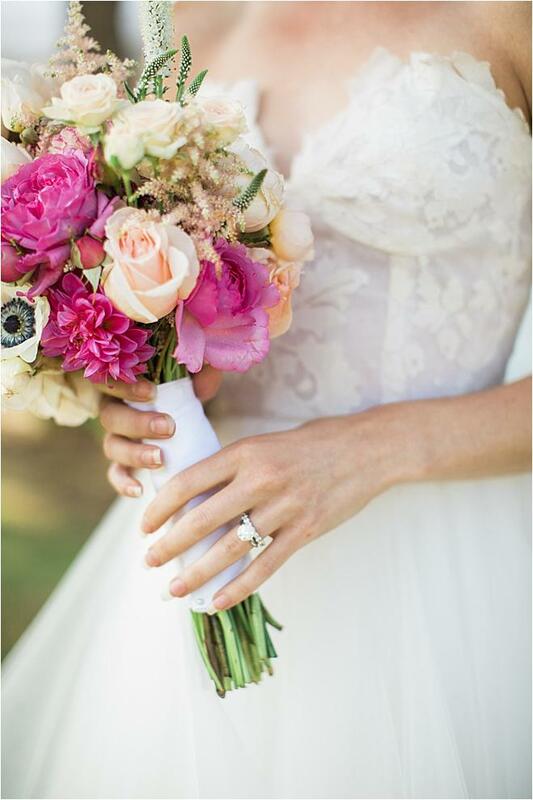 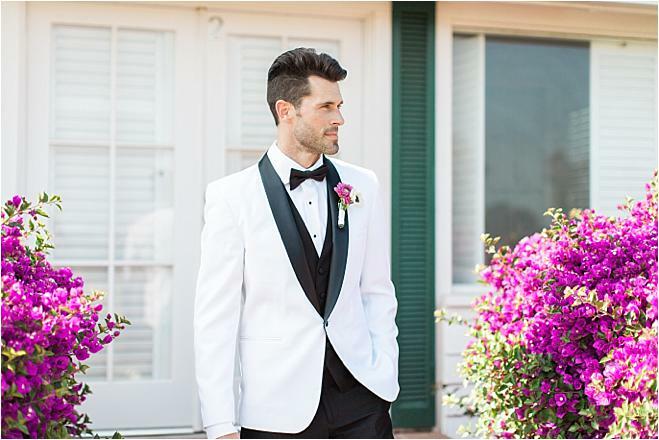 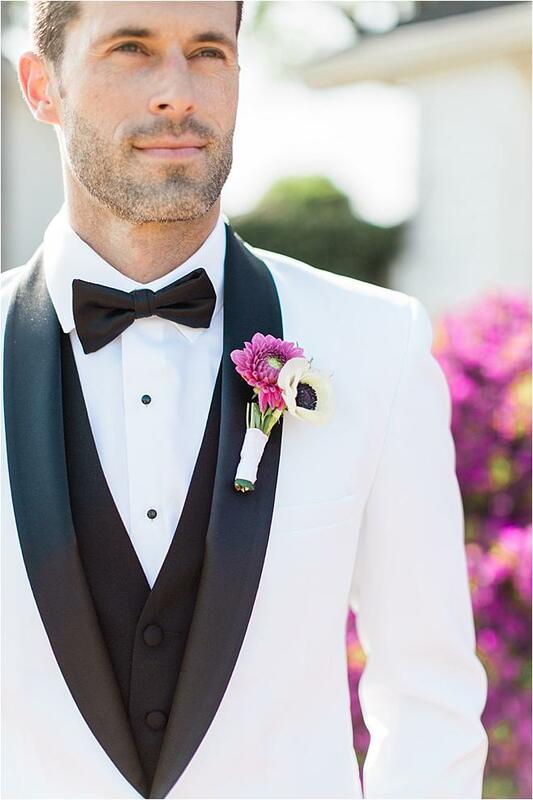 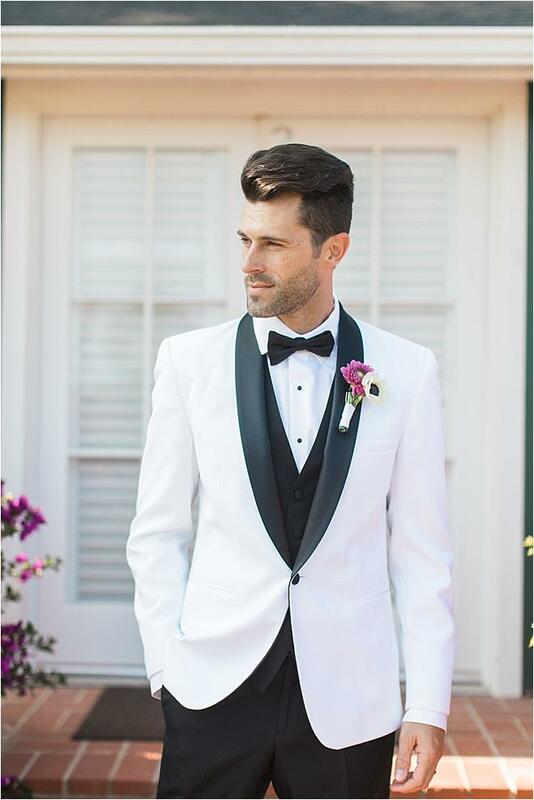 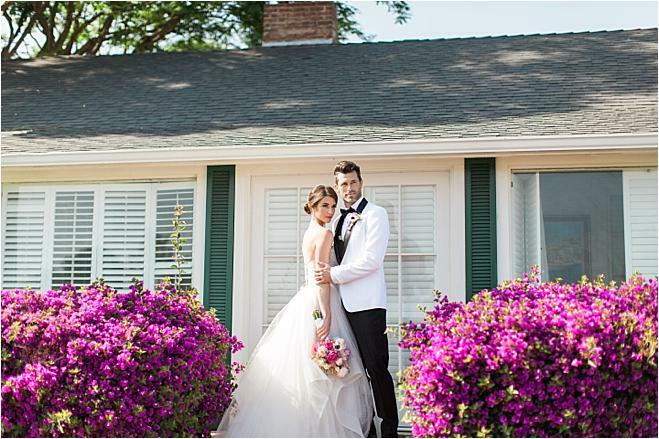 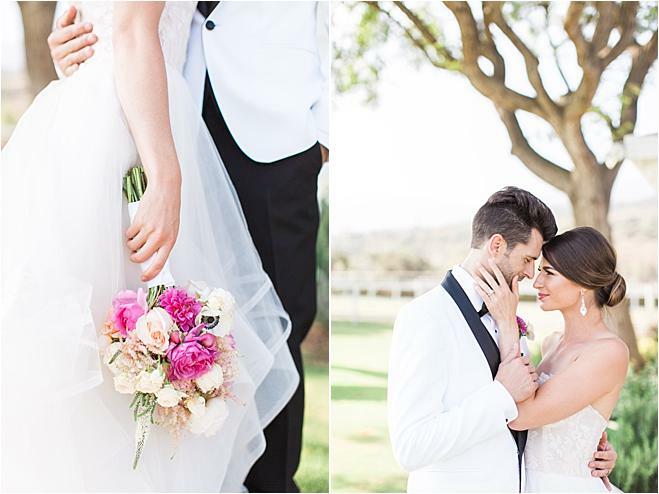 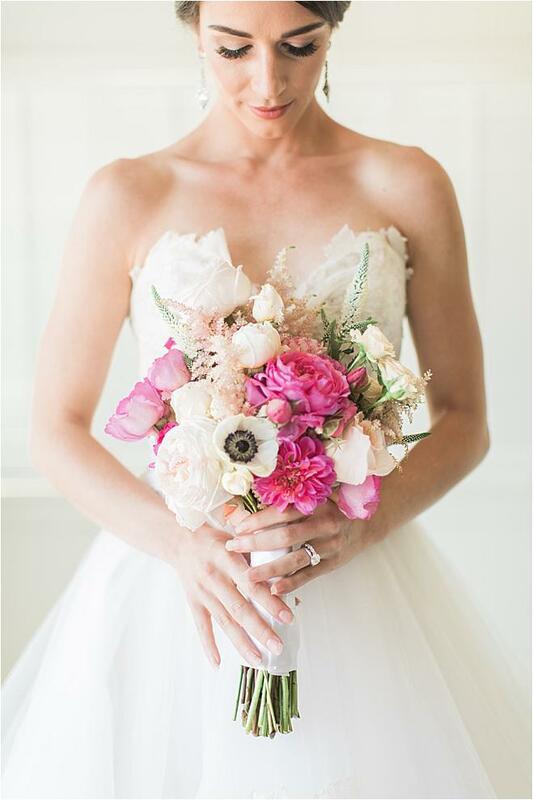 Velvet Blooms designed a beautiful bouquet showcasing peonies and roses in sweet shades of pink, blush and cream, while a sharp white tux from Friar Tux Shop was paired with a matching fuchsia boutonnière, creating a gorgeous look for the bride and groom. 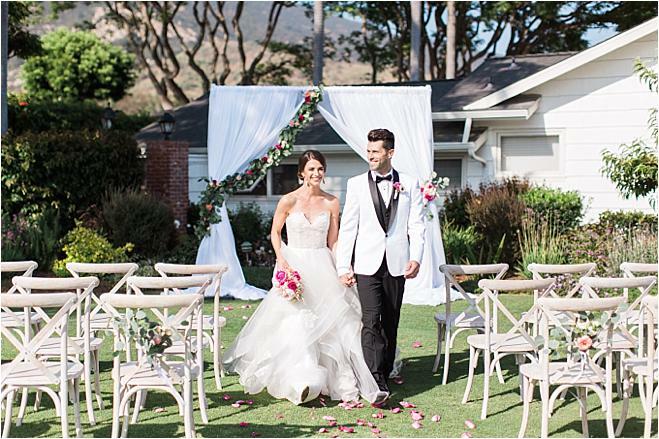 The ceremony design flaunted a crisp white design with charming seating from MTB Event Rentals and a beautiful white altar adorned in greenery and florals as a nod to the flowing fabric of the bridal gown. 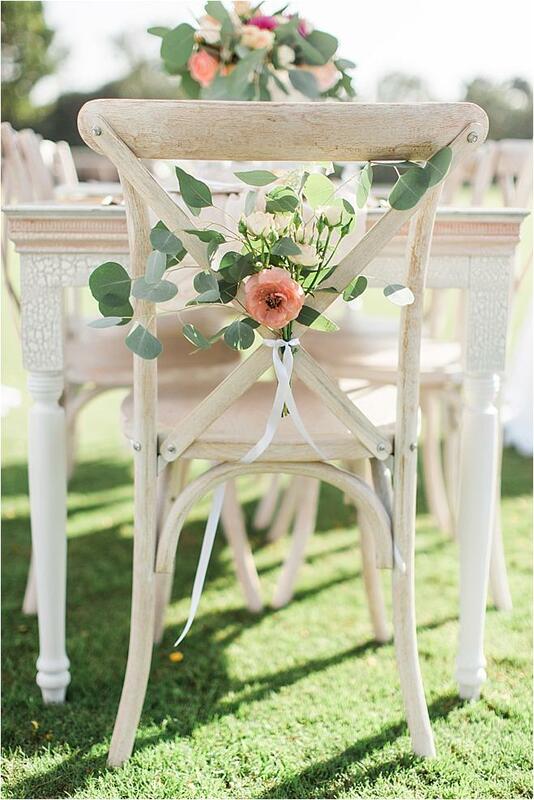 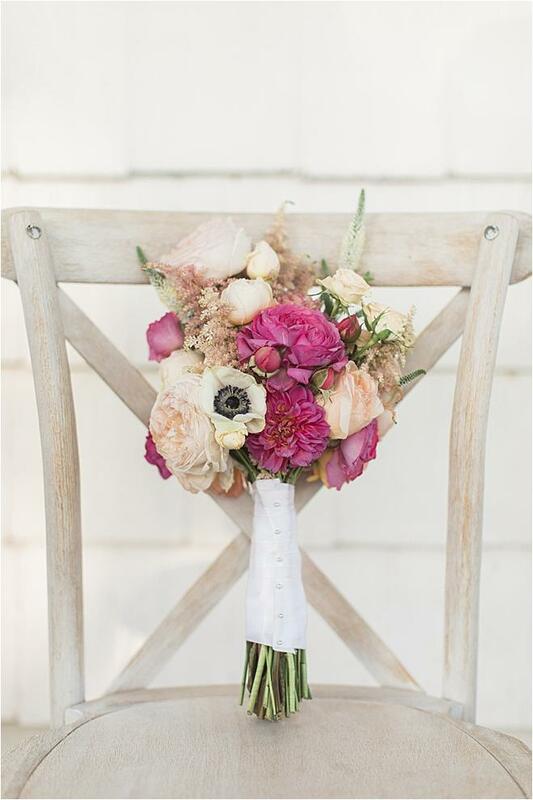 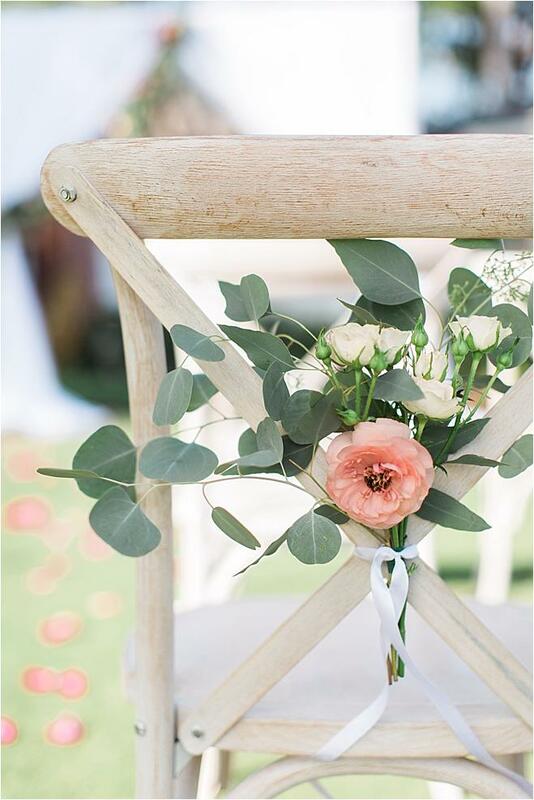 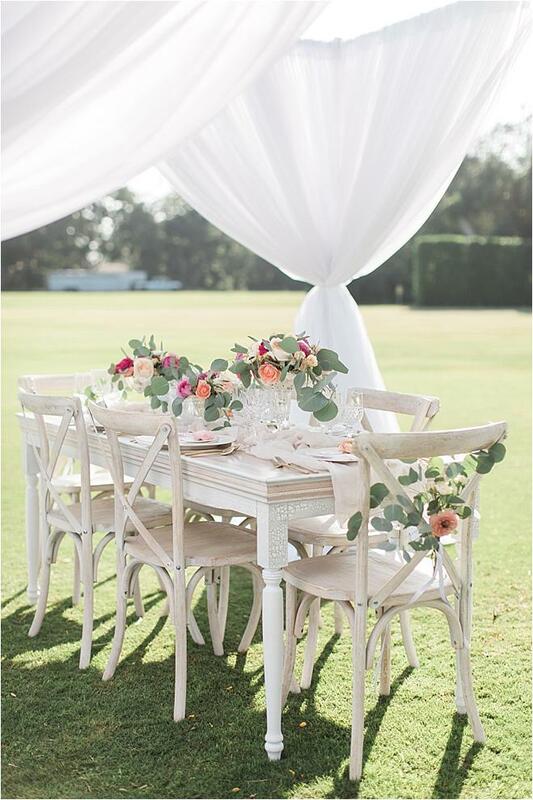 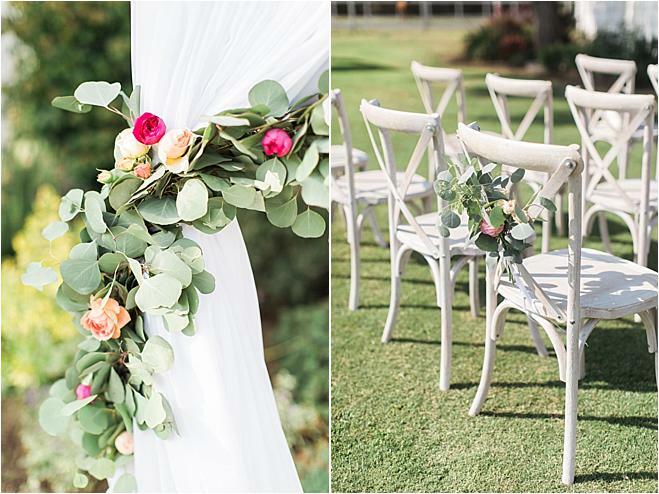 Simple florals graced each and every chair, making for a dainty yet memorable wedding day detail. 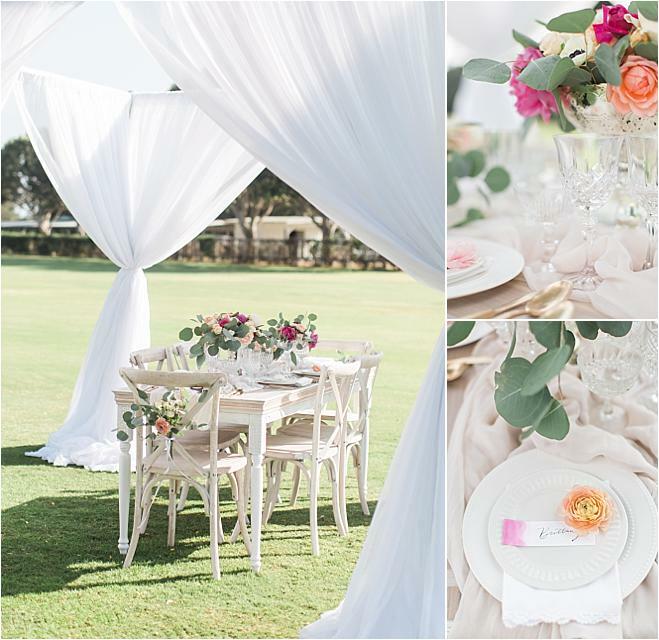 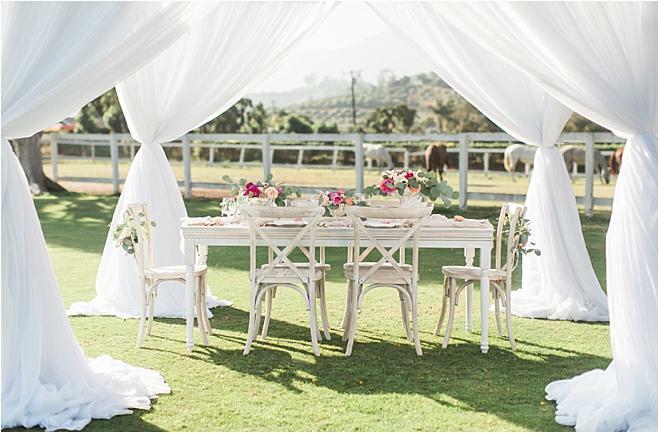 A beautiful tablescape rested beneath an ethereal white canopy, adding a luxurious feel to this airy styled shoot. 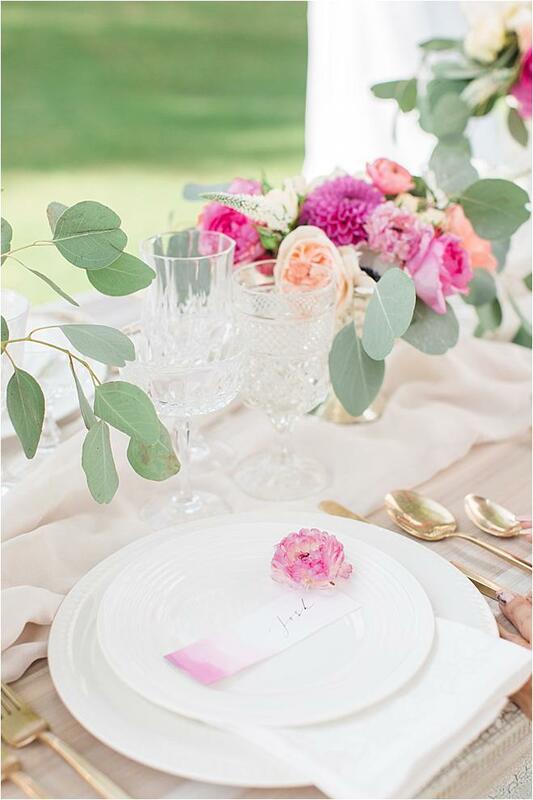 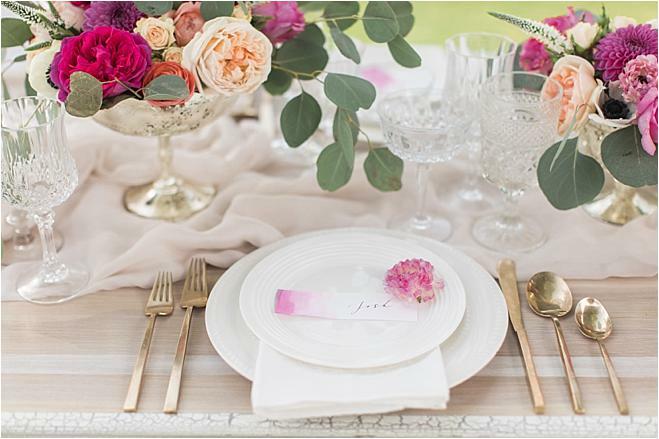 The intimate table setting boasted cream place settings paired with gold silverware from DishWish and pretty pink florals, while watercolored placecards by Kelly Patrice tied the whole design together. 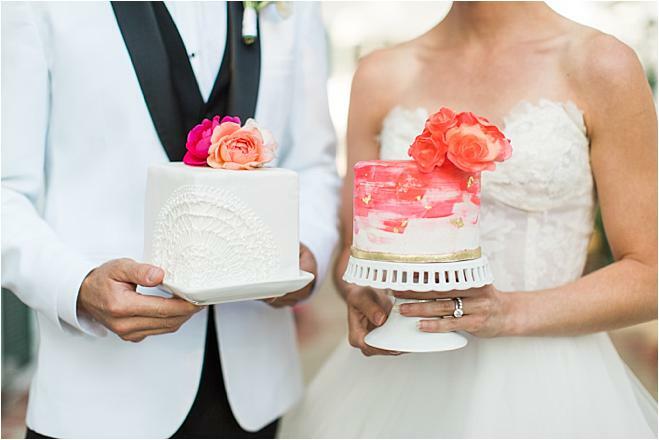 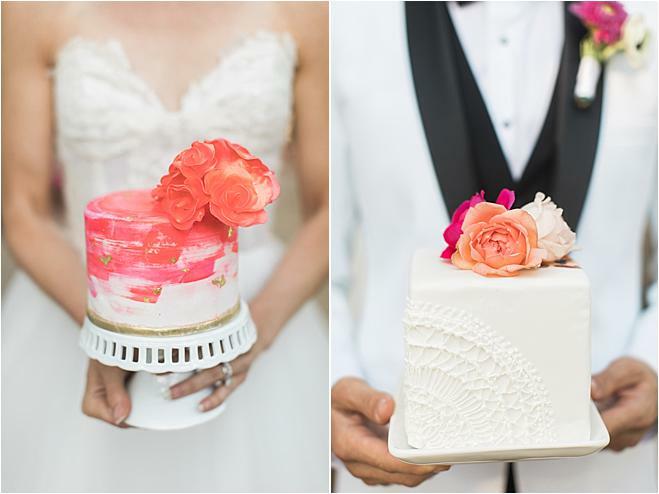 A matching watercolored bride’s cake flaunted a grand floral detail while the groom’s cake sported a simple design with florals to top, both lovely creations from Katherine's Sweets in LA.